Launch yourself off waterfalls, abseil down cliffs and shoot through nature's waterslides. 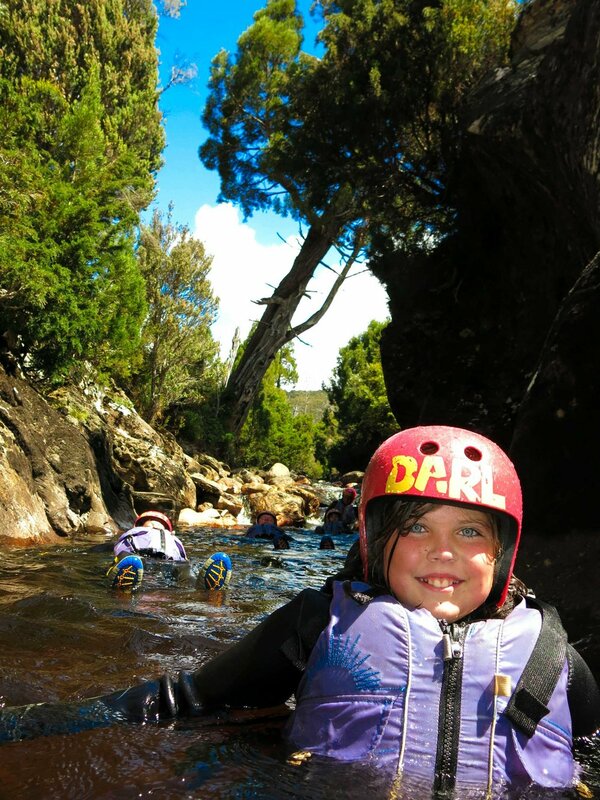 Canyoning is the most exciting way to experience the World Heritage wilderness at Cradle Mountain. No experience is necessary and we give you everything you need - just bring bathers, towel and a drink bottle and we'll sort the rest. Experienced and qualified guides will lead you through the stunning canyons found a stone's throw from Cradle Mountain. You can choose between an action packed day of waterfall jumps and slides in the Dove Canyon or a much easier introduction to the world of canyoning in the Lost World Canyon - open to children aged eight and up. Our most popular tour. A full day of waterfall jumps, slides and abseils. A fantastic introduction to the world of canyoning. Available to anyone aged at least eight.